In the western world public awareness of the price of gold and silver was on the upswing during the second half of the twentieth century. Although South Africa introduced the Krugerrand as a convenient way to own an ounce of gold in 1967 many nations boycotted the coin as a protest against that nation’s apartheid policy. 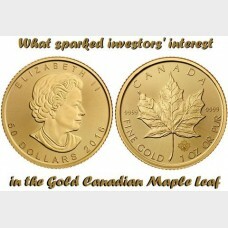 The first gold Canadian Maple Leaf coins were struck in 1979, a pivotal year in many respects. Interest rates in the United States were into double digits. Iran had ousted the Shah and in the meantime held captive the staff of the American embassy in Tehran. And then there were those two infamous Texas silver speculators – the Hunt brothers – who nearly cornered the silver market the same year. All of which increased public anxiety and the desire for a safe economic haven: silver and gold bullion. And in 1979 the price of gold was… exploding. 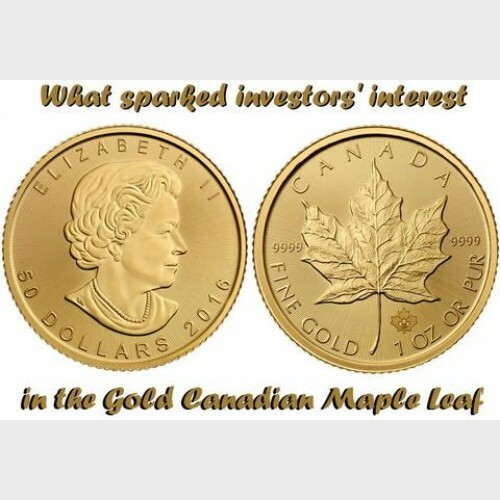 The Maple Leaf was immediately attractive to investors because it was made of pure gold refined to the .999 gold standard. This standard was upgraded in November of 1982 to the “four nine” standard, .9999 fine gold. The fractional coins are the ½ oz, ¼ oz, 1/10 oz, and 1/20 oz. In 1994 a 1/15 oz coin was made, and beginning in 2014 a 1 gram coin was introduced. Occasionally special edition coins are struck in “five nine” .99999 pure gold. Amazing to think that the standard can be pushed to the last 100,000th of an ounce!